Most American universities give their students a week of vacation in the middle of March in order to break the spring semester in half. This so-called “spring break” has become an institution among college students and is considered by many a great excuse to let loose and party. One of the most famous spring break destinations is South Padre Island, located in the southern most part of Texas on the Gulf of Mexico. South Padre Island is known all across the country as a great place to party during spring vacation – in fact, this year it was named as the second most popular spring break destination, after Cancun, Mexico. During spring break week on South Padre Island, anything and everything goes. The casual observer can see a little of everything – beer bongs on the beach, wet t-shirt contests at the Coca-Cola stage, dancing till dawn at the various clubs on the island. The police are merely a background presence – despite the fact that many of the kids partying on the beach are under 21, drinking laws are not strictly enforced. Many of the students get excessively drunk and the whole scene often becomes general chaos – people passed out on the beach under a blazing hot sun, fights breaking out in the crowd, girls flashing their breasts to collect cheap bead necklaces, street parties that last until dawn even after the clubs have closed at 2 am. It’s a week of promiscuity and exhibitionism, without rules or boundaries. 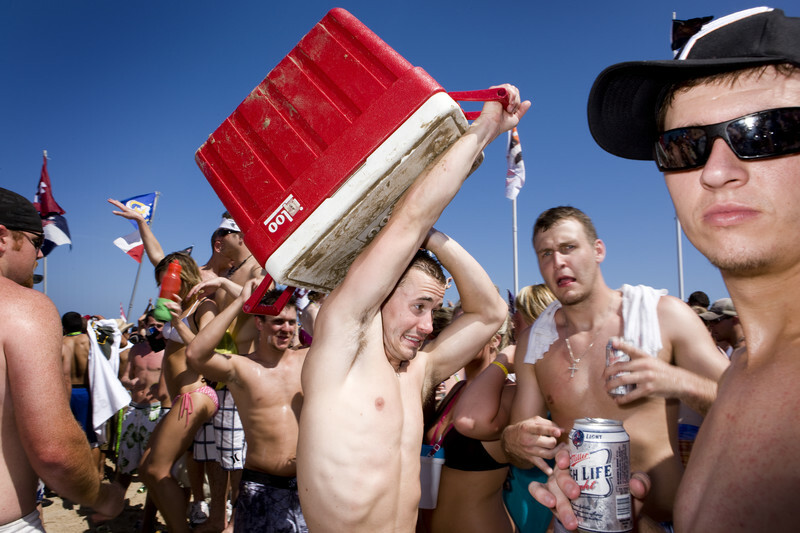 Many students use the excuse of “hey, it’s spring break” to party wildly, far more than they would in their normal environment at home or university.